Francois was born to Francois Denis Veronneau and Catherine Robin in the summer of 1738, just north of Montreal, in Terrebonne, Canada (then New France). The records indicate that he spent most of his life in that small town and at some point late in life relocated to Les Cedres, about 43 miles southwest. 1738: Francois Veronneau is born on July 27 and baptized the following day at the parish of Saint Louis in Terrebonne. 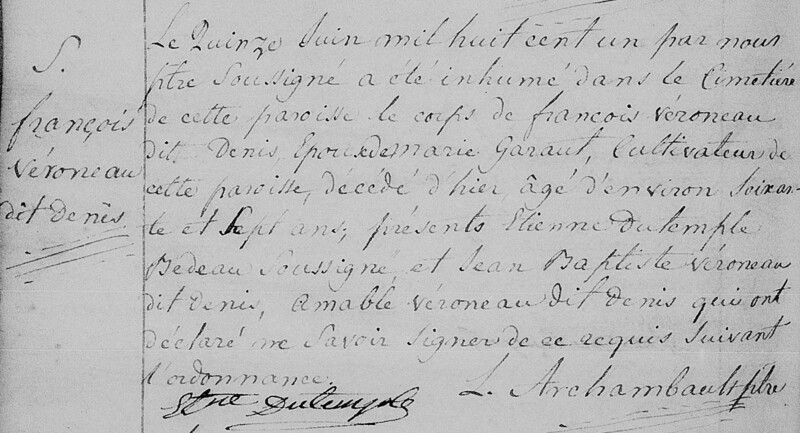 1760: Francois marries Marie Clotilde Gareau (sometimes spelled Garault) in Terrebonne on the 4th of February. 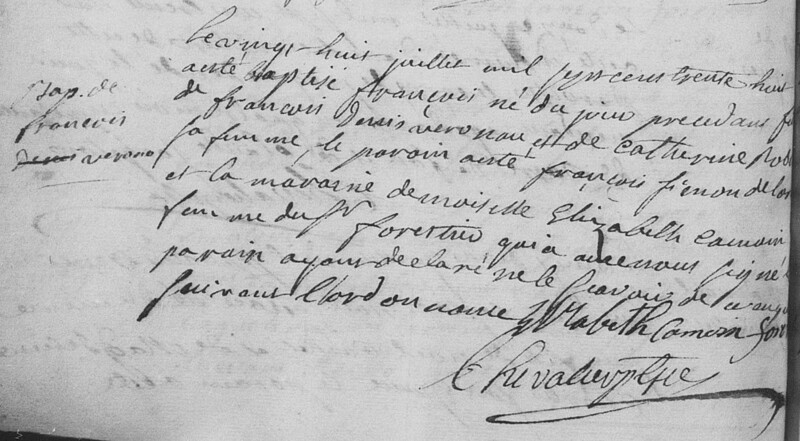 1760-1775: Children Francois, Angelique, Joseph, Pierre and Claire are born. 1801: Francois Veronneau dit Denis dies at age 77 in Les Cedres, near Montreal, Canada.